Like every good idea tolsentools.ie was born on a cold damp Irish construction site. The six people who formed tolsentools.ie have been in the construction sector in Ireland all our working lives through the good and the bad. We have worked alongside each other for years at a civil construction company called CNK construction. 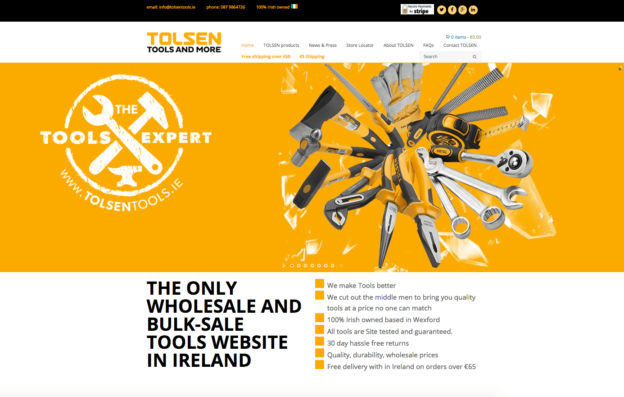 The Tolsen Tools website sells industrial standard tools at wholesale prices, offering individual tools for sale as well as bulk buying options to save even more on low-cost high-quality industrial standard tools. This entry was posted on April 12, 2016 by admin.